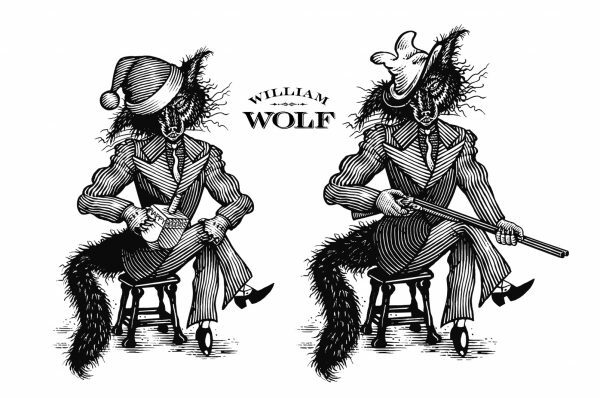 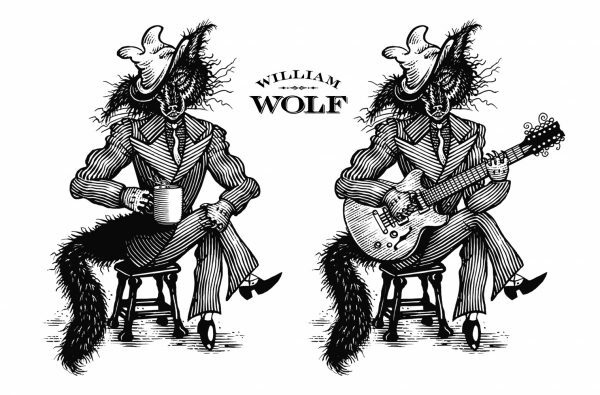 James Landis of One Good Arrow commissioned Steven Noble to create a series of new classic mischievous characters to add to the existing William Wolf whiskey brandmark for their new labels that includes: coffee, frisky, bourbon and pecan. 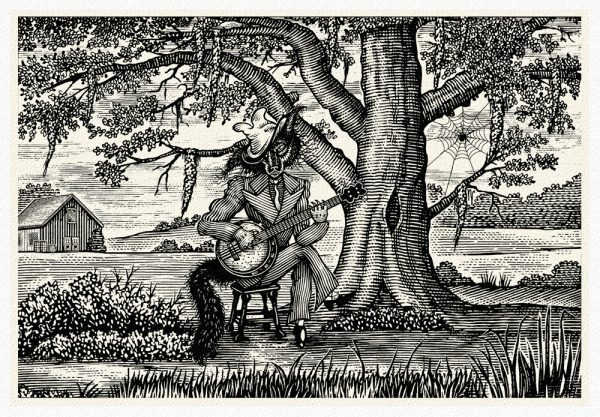 ​​​​​​​The character tells the story from something out of the rustic “Old South” complete with banjo, suit, and hat. 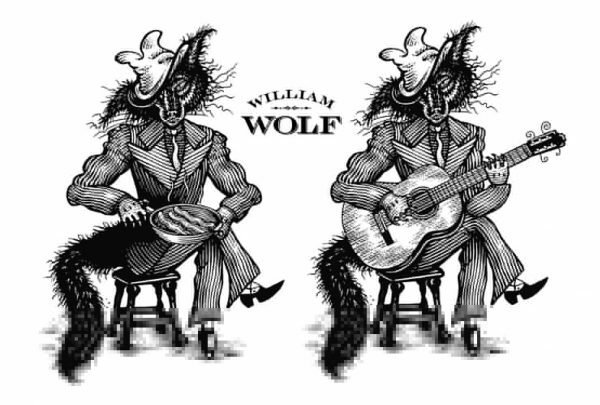 The artwork was illustrated on scratchboard to create an old woodcut look.